CHAOS in the world by illegal wars, supporting terrorist organizations (ISIS & Zionist Israel and others), and drone killings and mass bombings of civilian homes and businesses causing mass destruction and migrations. PS The major hole in my knowledge that Rothbard filled was the role of the Zionists. That group of individuals in Israel is as ruthless as the Neo-Cons in the USA. 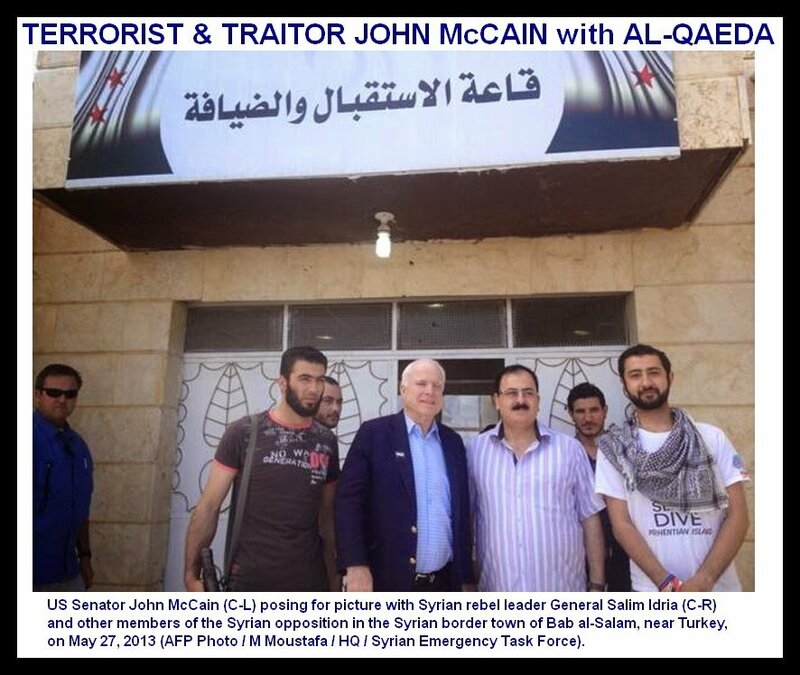 Let us not forget Senator John McCain’s role in creating ISIS. I have no use for Israel but I’m pretty sure the Jordanians and Syrians were the ones who attacked and subsequently lost the war and the territory. Israeli political and military leaders long ago conceded that the Arab countries were not in offensive postures. That’s the question. What’s the answer? …ISIL seems to be what Washington used to overthrow the government in Libya and afterward was sent by Washington to Syria to overthrow Assad. Obviously, Washington has ISIL infiltrated. Washington has long proven is ability to use Islamic extremists. As Washington used them in Afghanistan against the Soviets and in Libya and Syria against independent governments, Washington used them in Paris. A commenter, Michael Arko, says look to J. Christopher Stevens. I say what of him? “…but he had become too relaxed about security in a country that had become a war zone”. Perhaps it was indeed “slam dunk”? It would appear so! Back to the main course. This is an orchestrated FALSE FLAG operation! What of The Puppet masters behind the curtain? And the answer? Ah yes….paid boogeyman men and fall guys…orchestrated by the US and Israeli puppet masters AND their vassal states!